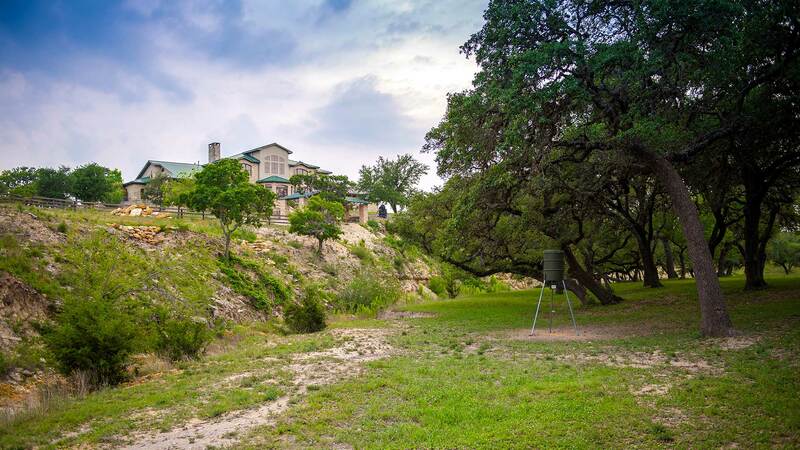 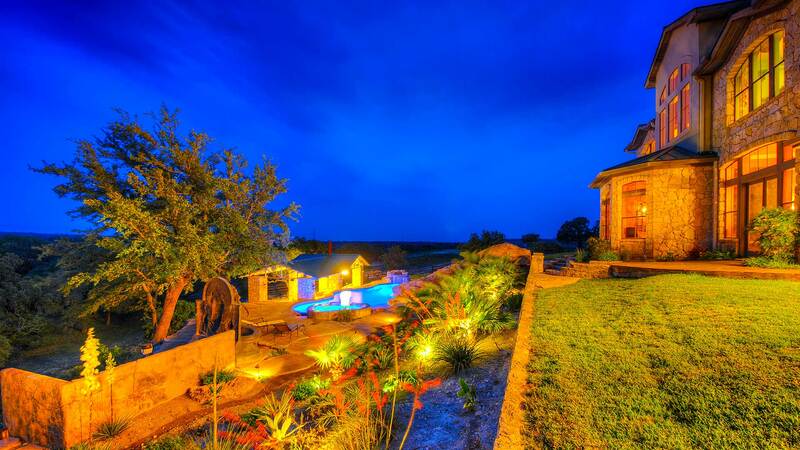 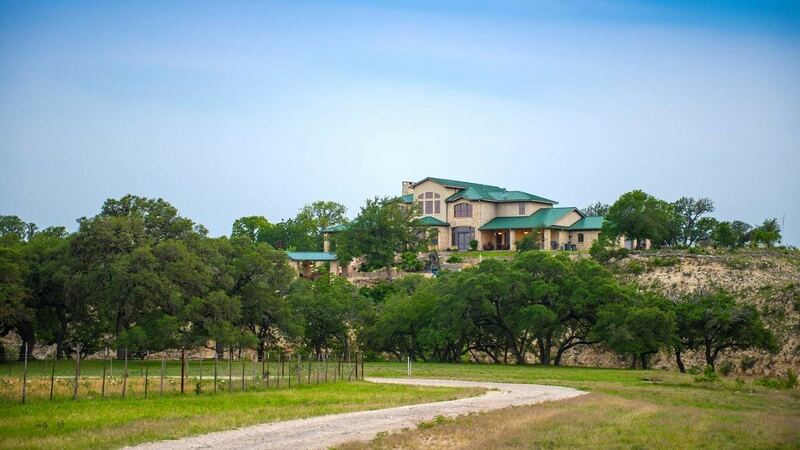 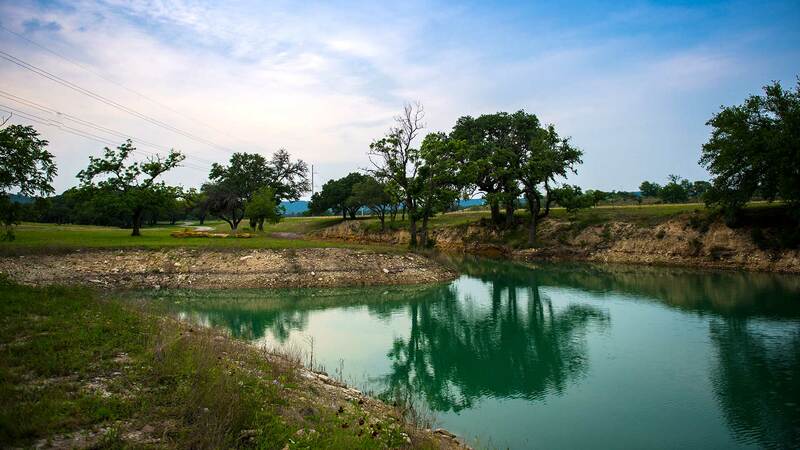 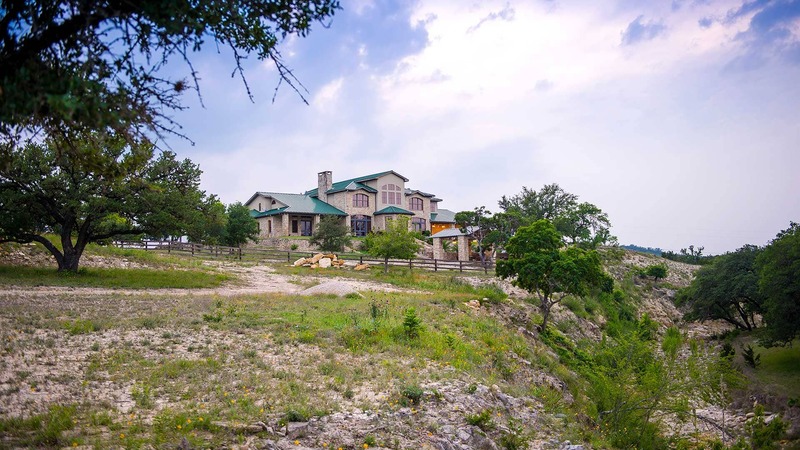 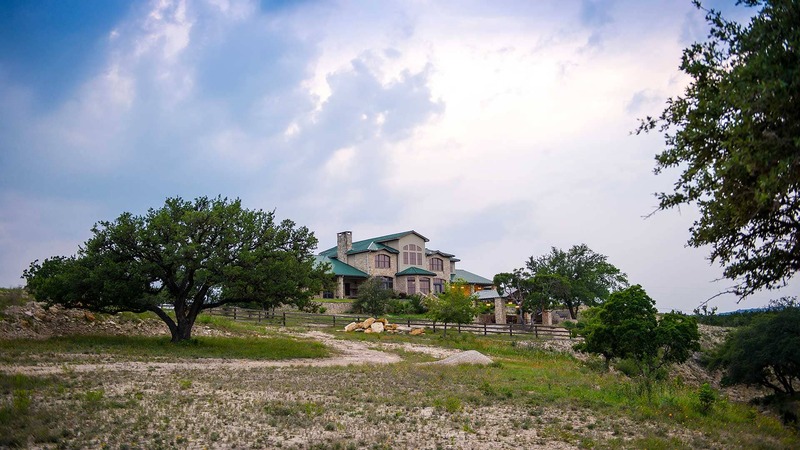 56± Acres in Bandera County near Camp Verde, Texas and minutes to Kerrville, Bandera and only 45 minutes to San Antonio. 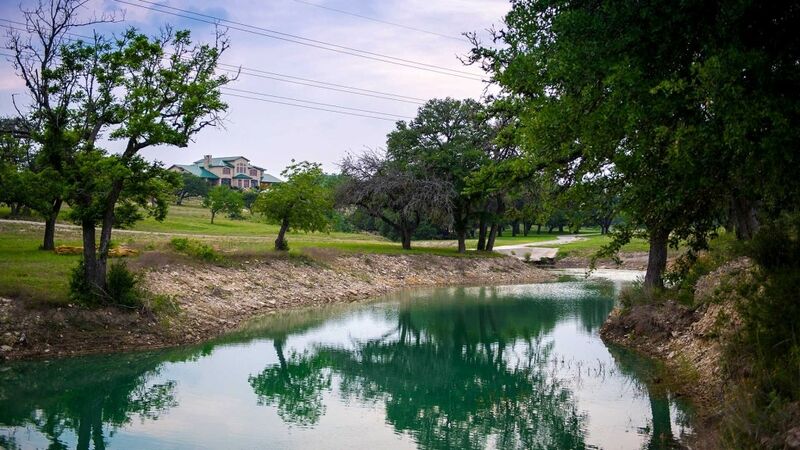 Features both sides of Crystal clear rock bottom creek! 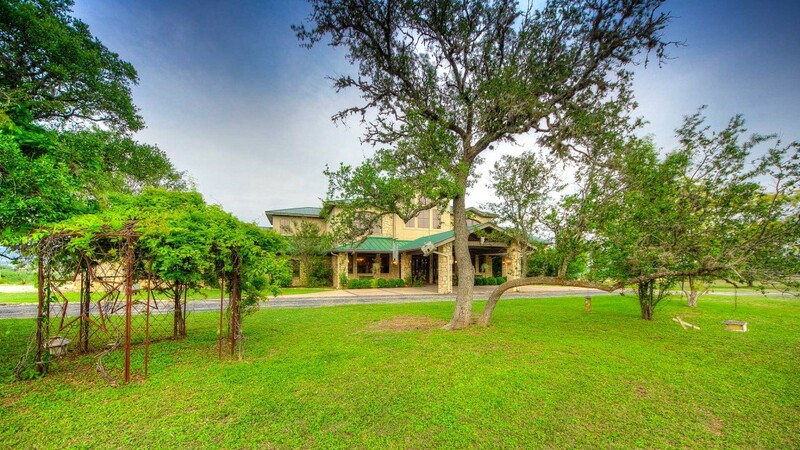 Awesome trees, several pastures and a nice field. 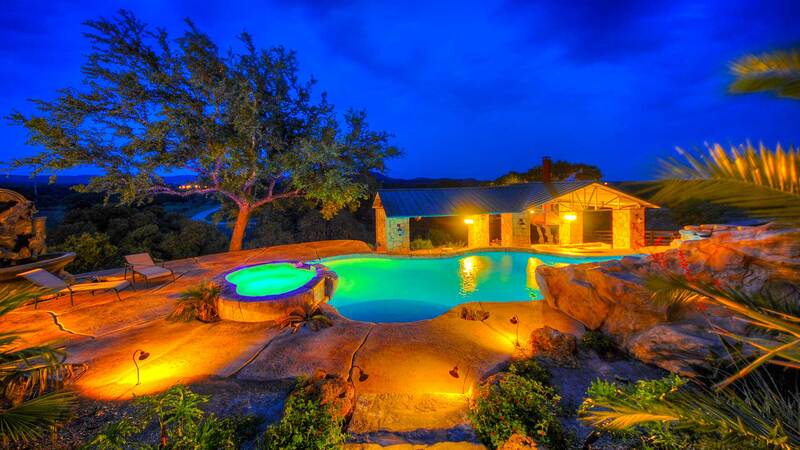 An electric gate and paved access lead to a stunning 4 bedroom, 4.5 bath main house that features extensive rock, granite and wood throughout! 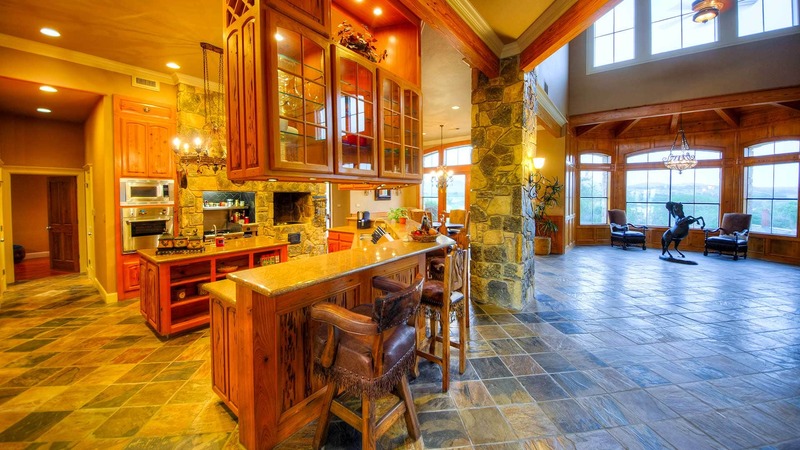 Custom gourmet kitchen with commercial grade appliances including a gas range with griddle and BBQ, and an additional convection oven, gas/wood BBQ and two pantries! 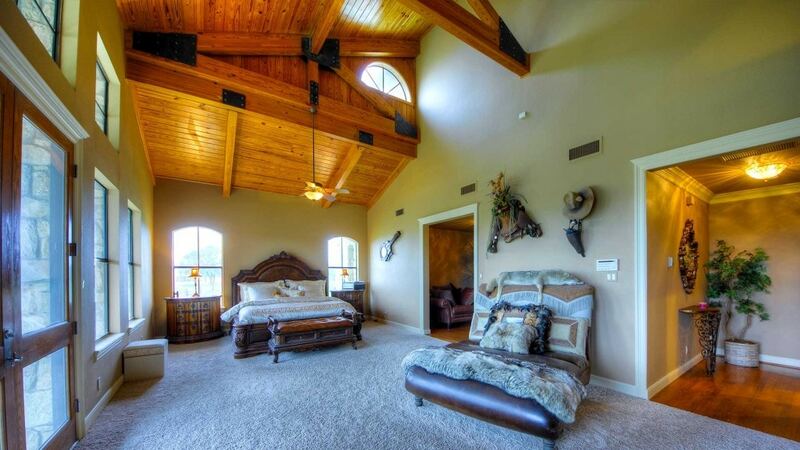 The master suite boasts a rock fireplace with built-in sink and refrigerator area, 4 walk-in closets (1 is cedar), and granite and travertine in the master bath which has a jetted tub. 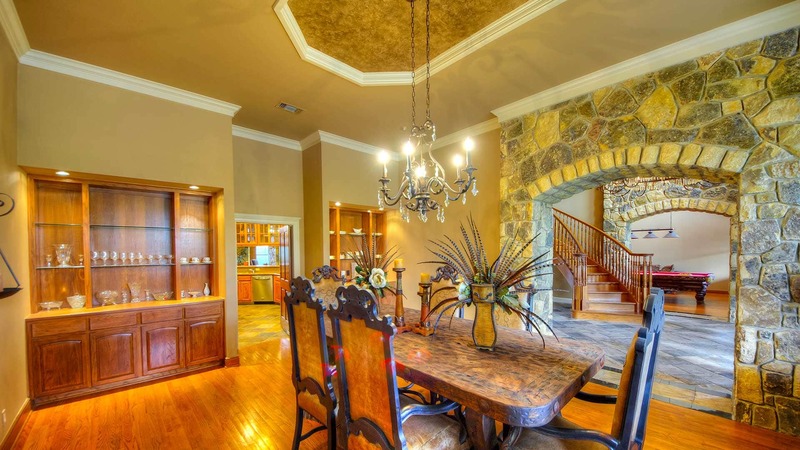 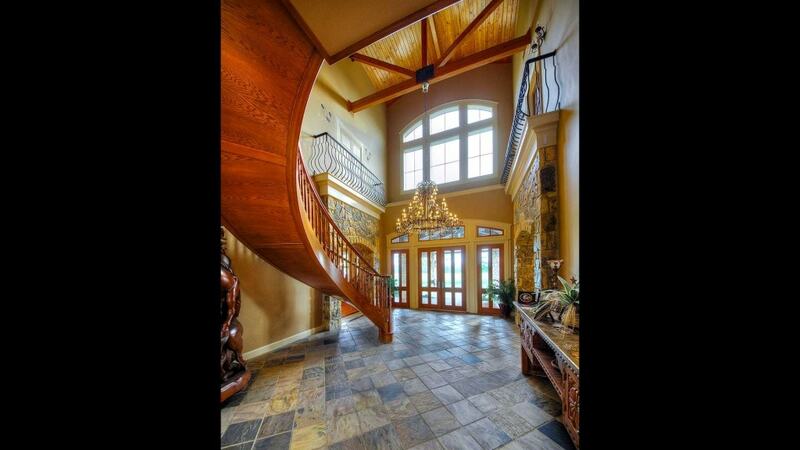 The entry features a floating winding stairway that you must see! 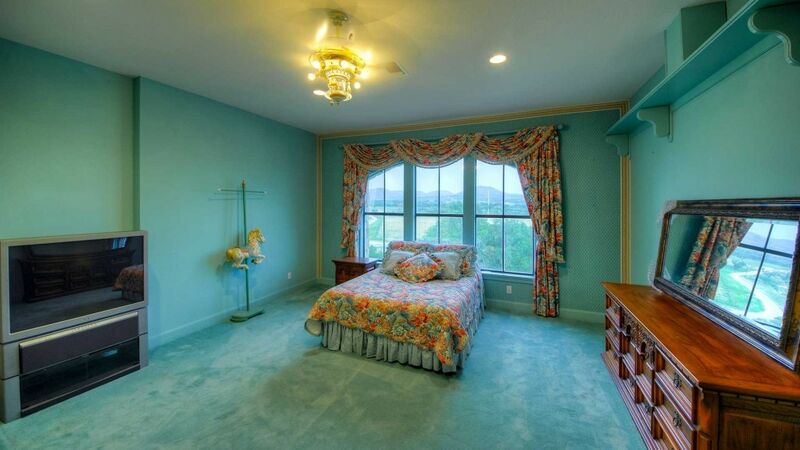 Two guest suites with in-suite baths and walk-in closets that are accessible via servants stairs! 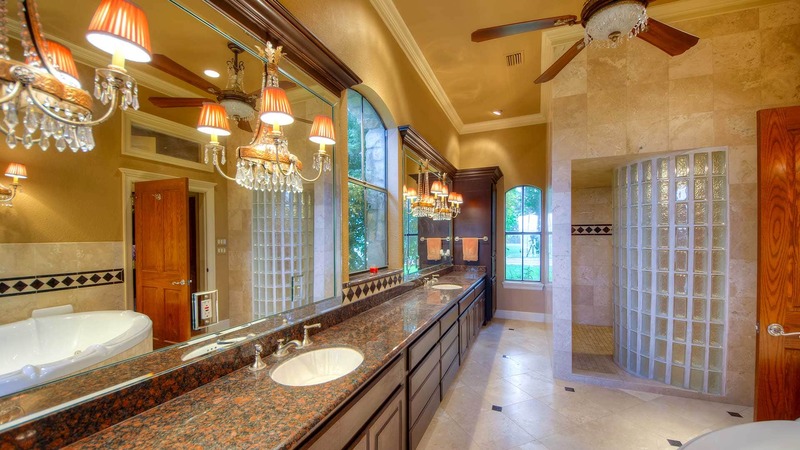 A large 4th bedroom located on main floor with travertine/granite in suite bath allows privacy for older parent or teen. 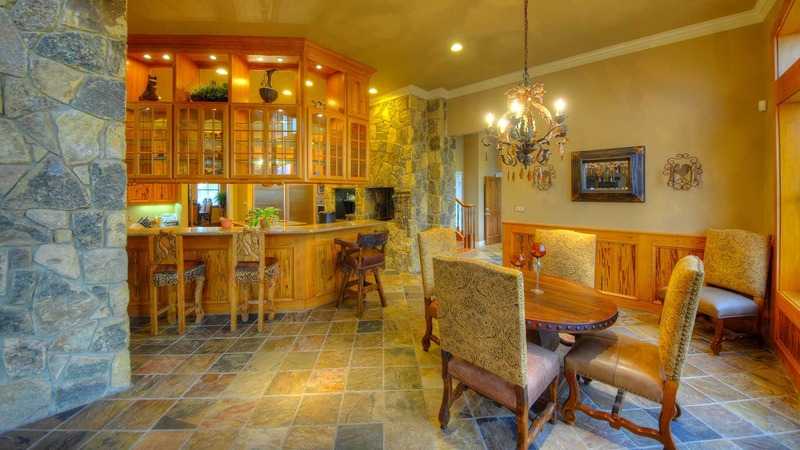 The entire house was remodeled in 2011! 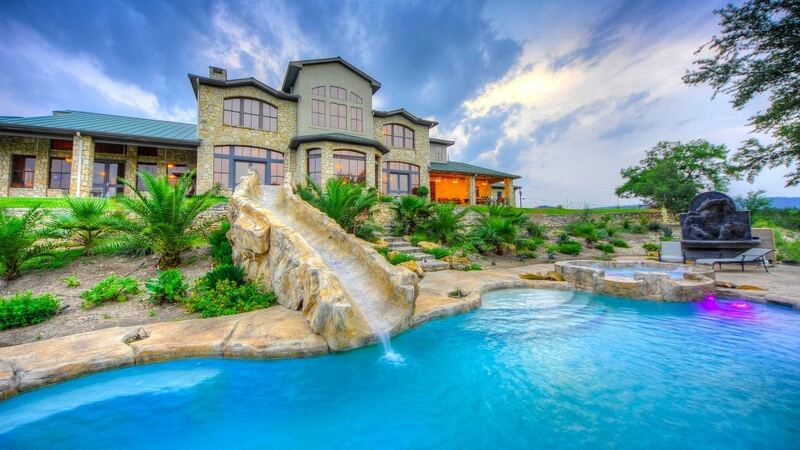 Outside is an incredible pebble pool built in 2011 with extensive rock accents including a grotto waterfall. 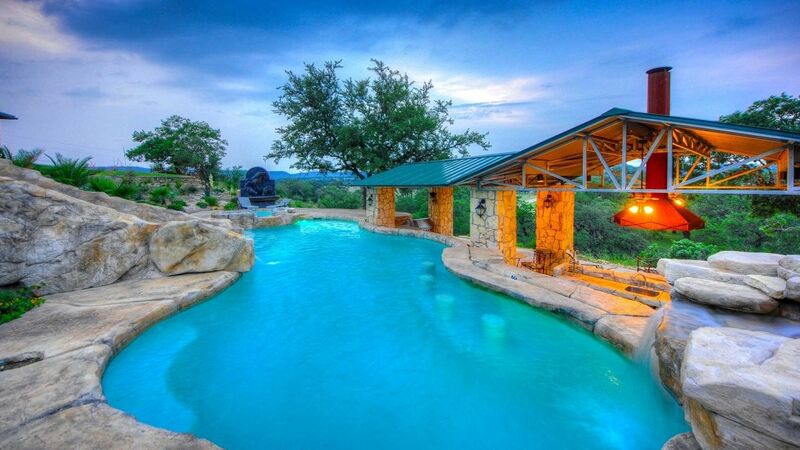 The pool is gas and heat-pump heated and includes a 38± foot custom rock slide, a spill-over spa, and a tanning ledge with water feature. 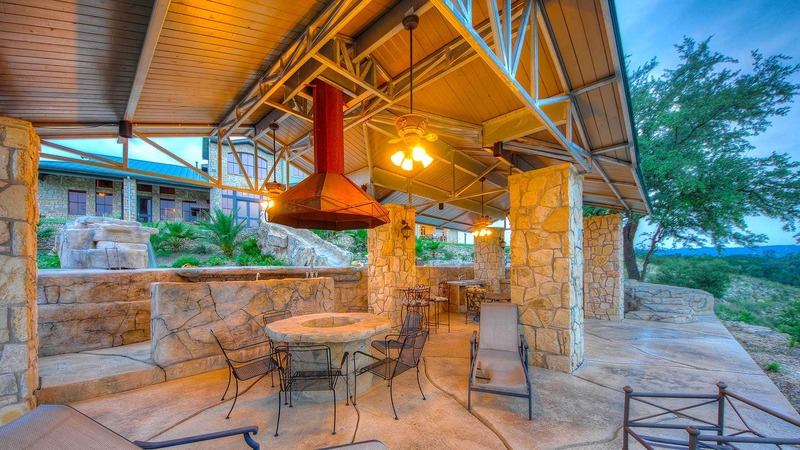 A huge ramada/cabana with kitchen and living area sits next to the pool and includes a swim-up bar and dining fire pit with vent hood. 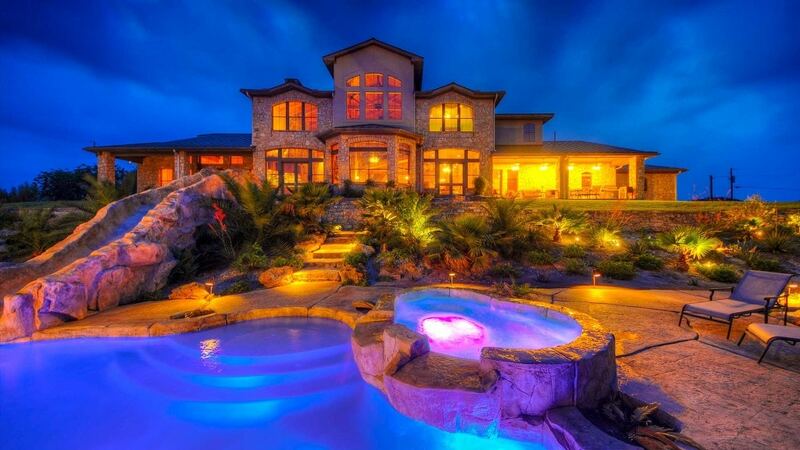 Extensive sprinkler system and lighted tropical landscaping. 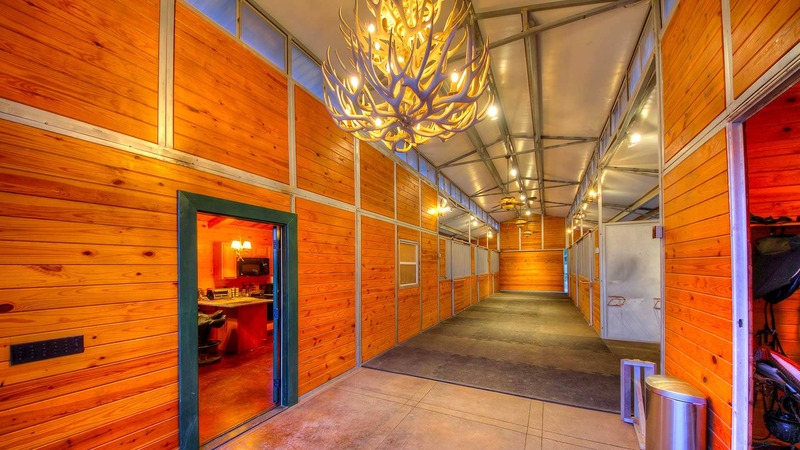 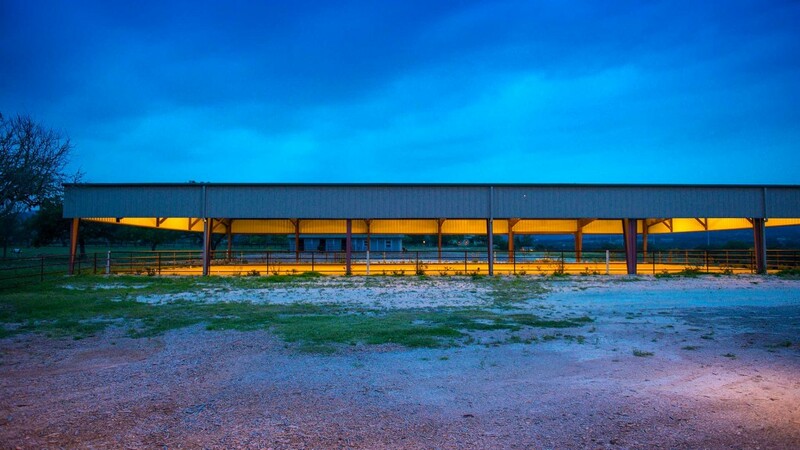 This property is a horseman’s dream with an MD barn with extensive tongue and groove paneling, 6 matted and galvanized 12′ x 12′ stalls with turnouts, automatic washers and feed and grain bins with access door for convenience. 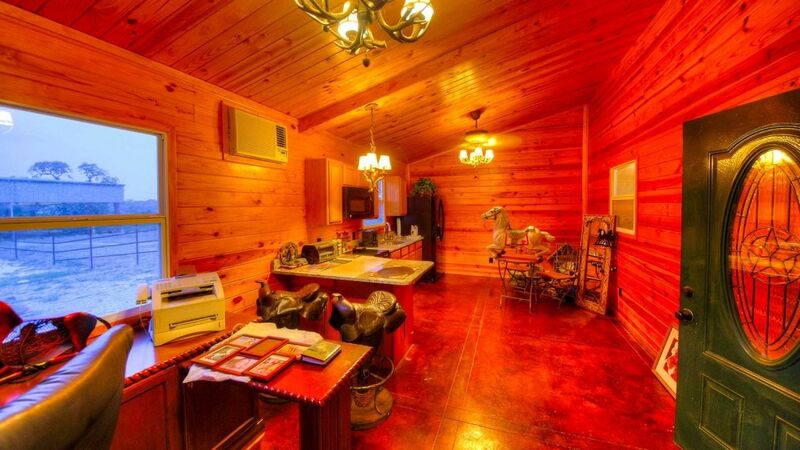 There is a 12′ x 24′ office/kitchen area with granite counters, and wired for internet and A/V, a 12′ x 12′ tack area with saddle, bridle and blanket racks, full size laundry area and full bathroom with shower, and a wash bay with cross ties, hot and cold water with retractable hose, 2 saddle racks and grooming cabinet. This barn also features a Pyrannah fly system throughout. 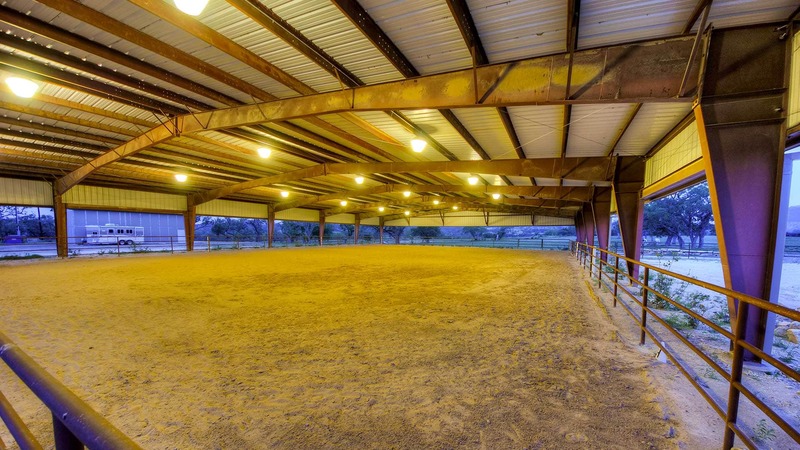 There two arenas: a 100′ x 150′ lighted, covered arena with pipe-rail surround, water sprinklers, sand footing, landscaped and dripped, and an outdoor arena that is approx. 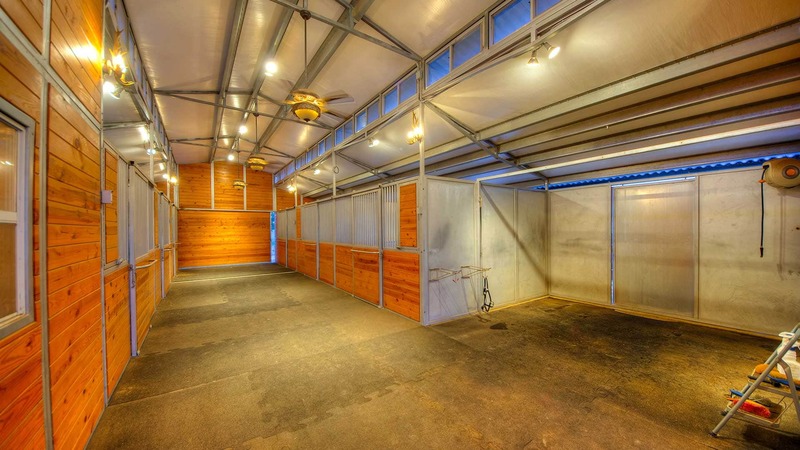 90′ x 275′ with pipe railing. 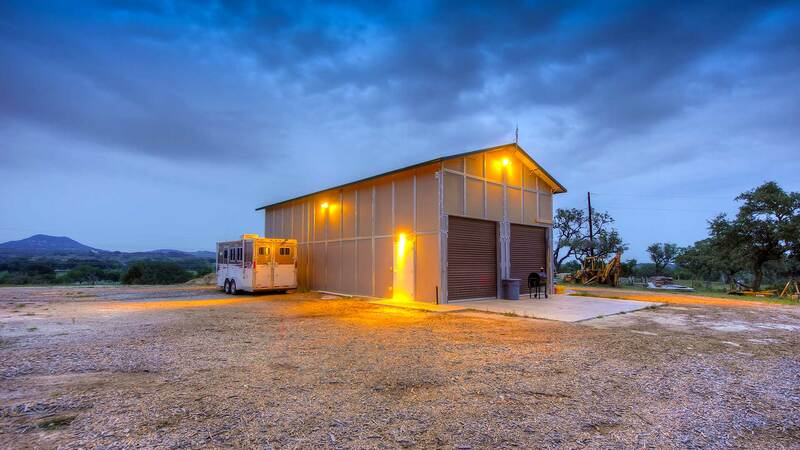 Then add a hay barn/man cave with concrete floor, roll-up door, tongue and groove man cave with kitchen area, 2 roll-up doors for equipment, 220 power, wired for internet and A/V; 3 RV hookups, and walk-in cooler. 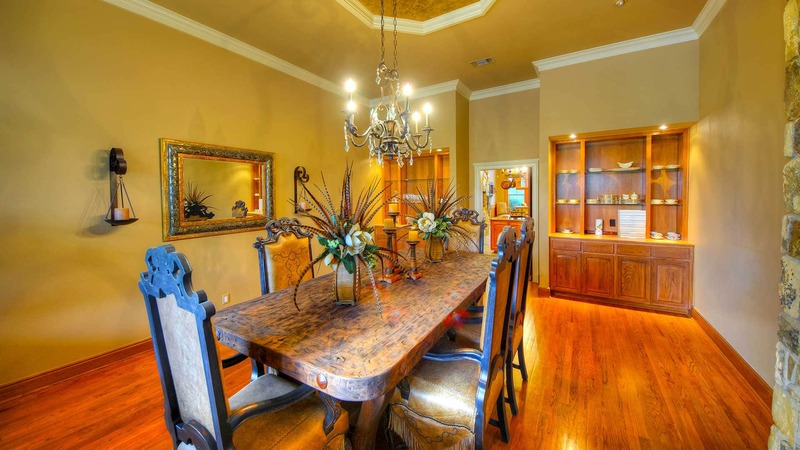 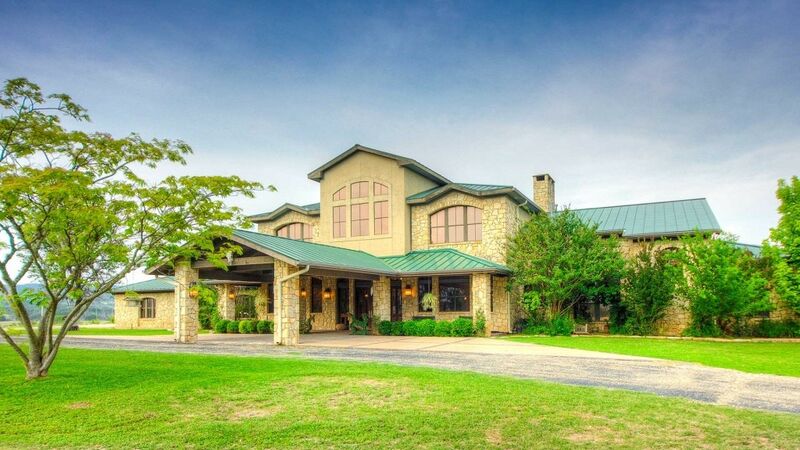 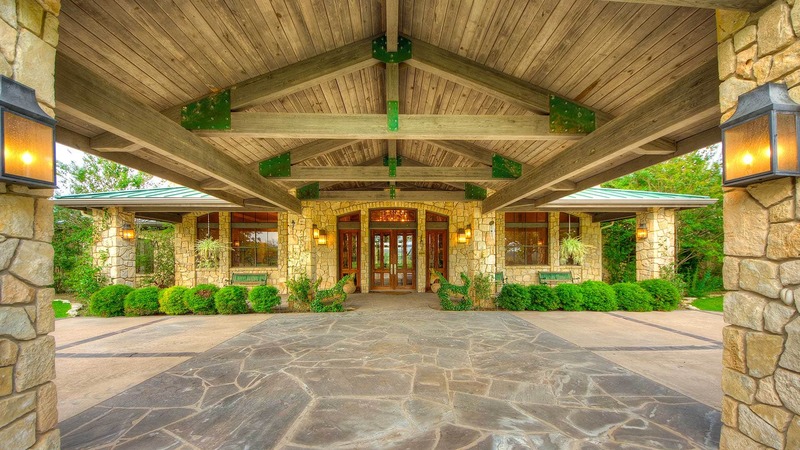 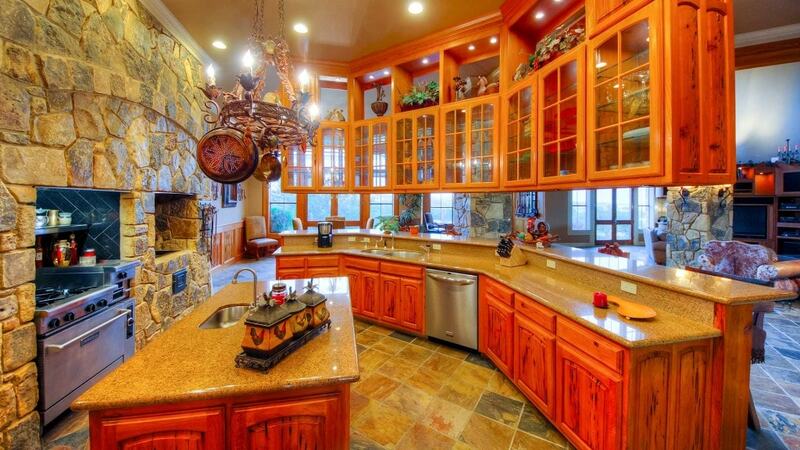 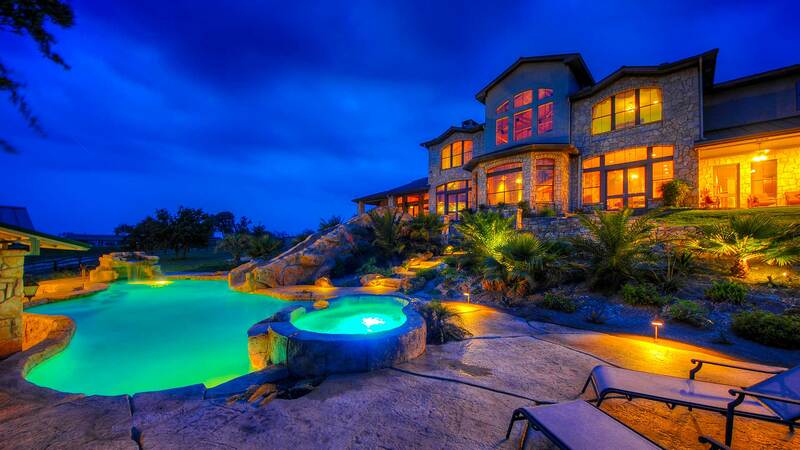 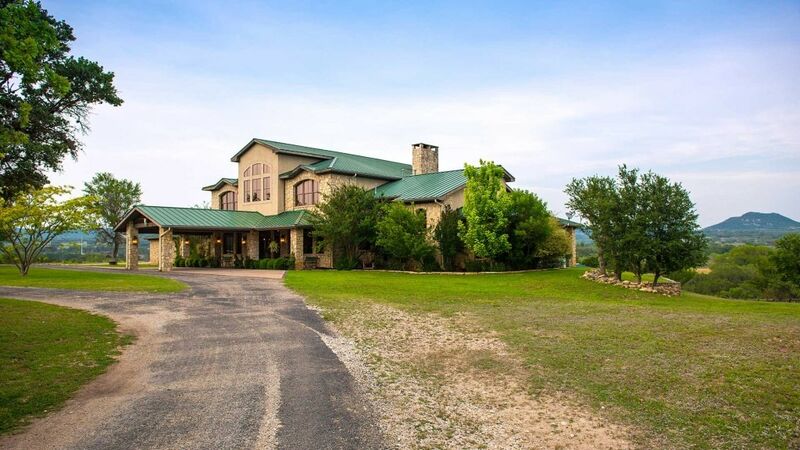 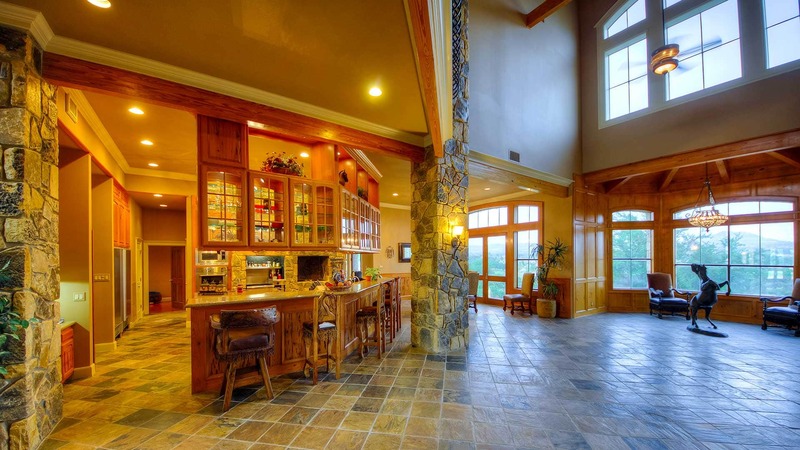 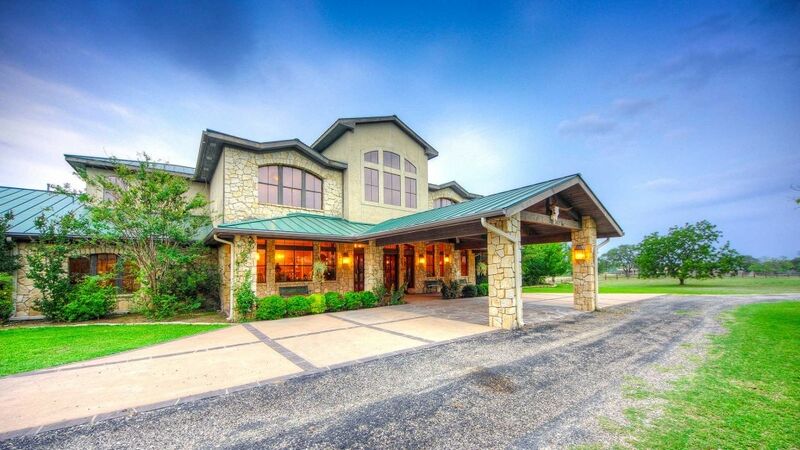 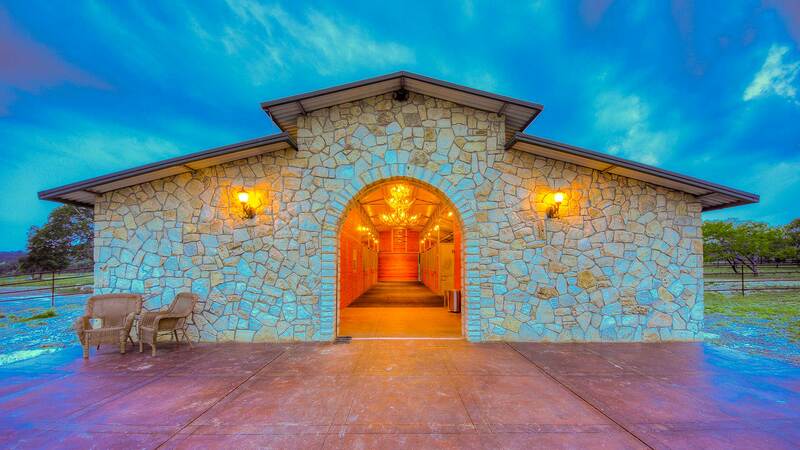 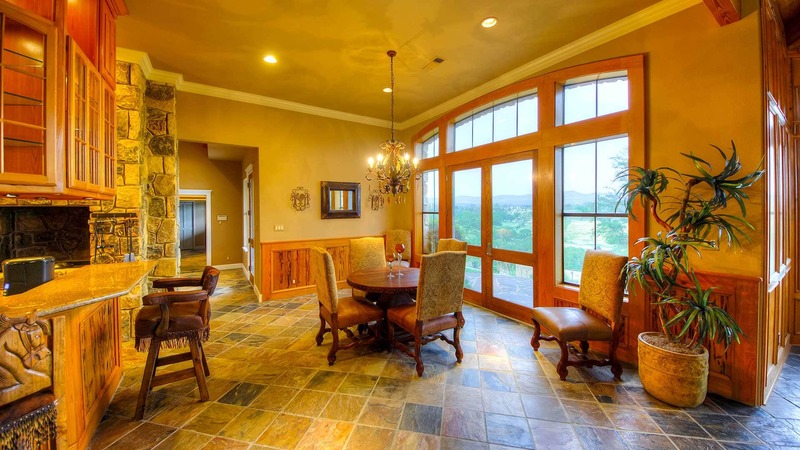 This is an awesome estate ranch that will not last. 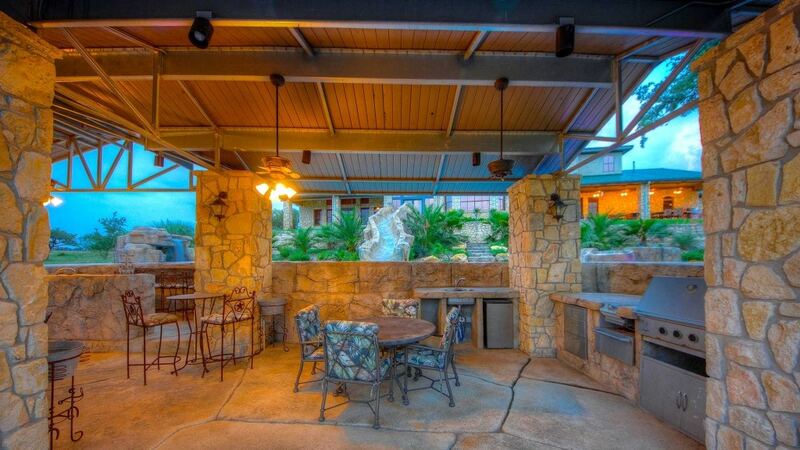 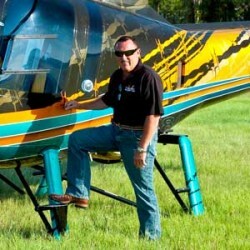 Call Jeff Soele (210) 705-4013 or Lance Soele (210) 542-6065.